Energetic Lighting’s LED retrofit recessed troffer kit simplifies the conversion from existing fluorescent 2x4 recessed troffer fixtures to energy efficient LED fixtures using the back housing of the existing fixture. Access above the drop ceiling plenum is not necessary with this kit, which allows for a cleaner and quicker installation job, as dust and insulation above the ceiling will not be disturbed during the retrofit process. 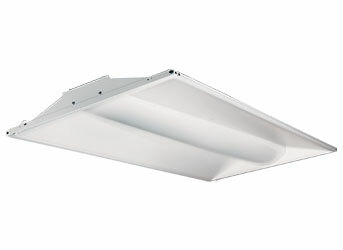 Fully dimmable with standard 0-10v dimming systems. High-efficient LEDs rated for 50,000 hour L70 lifetime combined with a rugged steel housing construction ensures maintenance-free, reliable light for many years.